Our 2019 State of API Integration Report contains insights and predictions from expert thought leaders in the industry, as well as over 350 API enthusiasts from 27 distinct industries, to visualize trends and determine where the API industry is heading in 2019. You'll also get the on-demand recording of the webinar and slides! 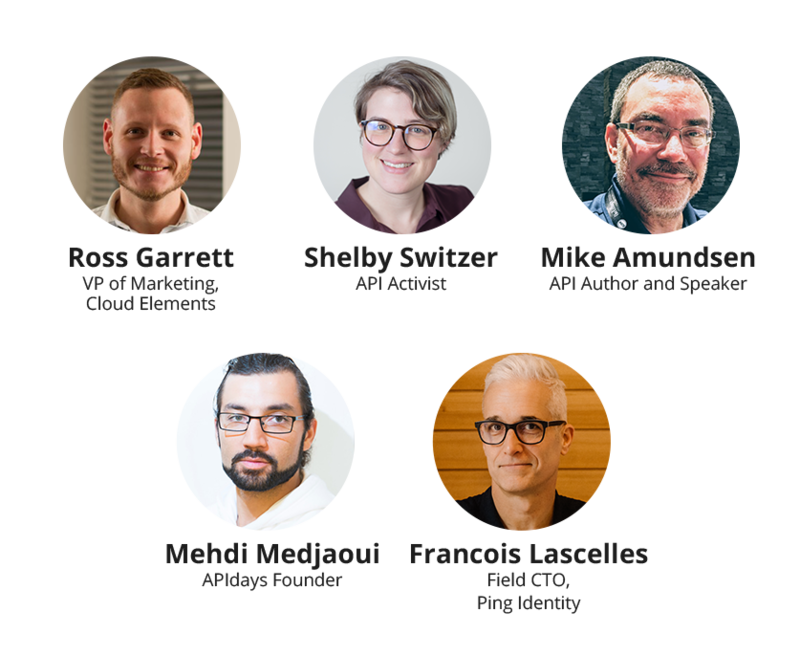 Report Contributors Ross Garret, Shelby Swizter, Mike Amundsen, and Mehdi Medjaoui, and Francois Lascelles expounded on their observations of the survey results and their predictions for where APIs are heading in the 2019 State of API Integration Report. Download the report, on-demand webinar recording, and slides to learn from them!